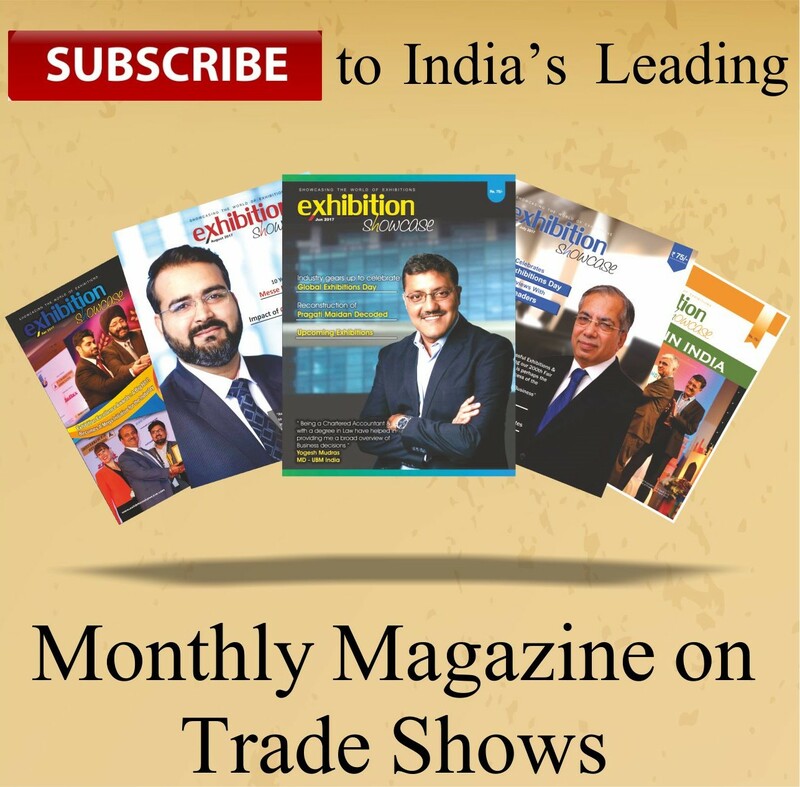 Exhibition Showcase reaches out to Yogesh Mudras, Managing Director, UBM India Pvt. Ltd.
ES: It has been some time since UBM and Informa struck a deal together, although we have had some glimpses from the UBM and Informa headquarters, but nothing much has come from the UBM India team. Can we have an elaborate account of the deal from UBM India’s standpoint and your perspective about the same? ES: As the head of UBM India, you have built a very successful team for yourself. Will there be any reshuffling or new people taking up the senior positions? What changes can we expect? Yogesh: Thank you. I am privileged to have a professional, dynamic team that works cohesively, creatively and is looked up to by the industry. Being in the initial phases of integration, we are in the process of understanding and focusing on the combination at length. Within Asia, the intention is that Informa’s exhibitions businesses will become part of the UBM Asia structure, whereas in India, there is no overlap in functions. While our exhibitions business is robustly growing at an impressive rate, Informa has a very successful academic publishing business; but a limited presence in exhibitions. We are committed to combining in the most optimal manner that will serve our invaluable customers. ES: How will UBM India benefit or be affected by this deal? Yogesh: As far as I can see, there are only benefits for UBM India as well as the combined organisation when it is fully realised. Over the past couple of years, UBM India has been focusing on the ‘Events First’ strategy in a significant way, building deeply entrenched sectoral communities, and we have gained immensely from it. Informa, on the other hand has a wider corpus of interests, including business intelligence. The combination of both can only help us serve our customers in a more all-encompassing manner. What excites me is the common denominator between the two organisations – both have a similar culture of growth and adherence to quality – and this can only yield impressive results. ES: What kind of a presence does Informa have in India? Yogesh: As mentioned earlier, Informa has very few shows in India and their forte is academic publishing and business intelligence. The few shows they have in India are complementary to the UBM India bouquet of shows. ES: What kind of an impact would it make to the UBM India portfolio? Yogesh: Driven by a culture of growth, UBM has always looked at broadening its business, be it organically or through acquisitions. This helps it find new avenues for growth in mature markets or deal with accelerated change. This growth strategy mentioned earlier, the Informa deal won’t immediately create a significant change in the UBM portfolio. However, we are always on the lookout for new show launches that will benefit the industry. month integrated plan, across all areas of the business. ES: Do you think that this would have an impact on your exhibitors and visitors? Yogesh: With the combination of Informa and UBM as one organisation, globally, our exhibitors and visitors will benefit from being served by the world’s largest exhibitions organizer in the world with a market capitalisation of around £10bn.The experience, expertise and synergies that we bring in through our events will be an extremely rewarding one for our customers. ES: How much time would it take for this collaboration to take a complete shape in India? Yogesh: The combination is intended to be a 12 month integrated plan, across all areas of the business. ES: What are the challenges you are facing in this process? Yogesh: There haven’t been any overt challenges. The main task cut out for us is seamless integration – to enable team members working for a common goal. Part of the process so far has involved being upfront and open, in terms of encouraging and answering our staff queries and educating them about the combination in a viable manner. The process of integration has been transparent from the beginning which gives confidence of an inclusive culture to our teams. ES: What are the points of differences in management style and approach of both these organisations? With Informa owning a major stake in this collaboration, are we going to witness an Informa oriented Business style in the future? Yogesh: As we are just entering the second stage of Combination, after the Discovery and Validation phase, both organisations are still trying to understand each other, adapt, learn and be transparent with each other. We have had meetings to this effect at the highest level. So far, while we had been focusing on the events business, Informa had been catering to a wider community. It truly helps that we have a common culture of growth, so it’s easier to look at the most optimal way of doing things together.